It’s International Women’s Day and a good opportunity to celebrate some of the things that women do for one another in fertility. 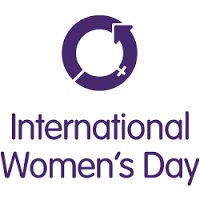 I was thinking of some of the women who have done and continue to do so much to change things in this field, and wanted to thank a few of them. The first is Clare Lewis-Jones, the former Chief Executive of the charity Fertility Network UK. Clare led the charity as it grew in size and influence and was a presence at every fertility conference and event, reminding professionals of the need to think about the patient perspective. She championed the cause and helped to change the way people think about fertility, removing some of the stigma and encouraging us to talk, in part by being open about her own fertility story. Clare was awarded a much-deserved MBE for her work and was a real inspiration to me. The second is Jessica Hepburn, who wrote a book about her own experiences of fertility problems and treatment and who went on to set up Fertility Fest. Jessica is an amazingly inspiring person who has swum the Channel and is now running the marathon to raise funds to help to support other people going through fertility problems. She has spoken widely and openly about how it feels to have unsuccessful treatment and has enabled many other people to talk about this. My third is someone you may not know. She is called Diane and she runs the support line at Fertility Network UK. Diane is a nurse and has been answering calls and responding to emails from fertility patients for as long as I can remember. Every time I’ve suggested that anyone might benefit from giving her a call, they’ve been really touched by her kindness and helped so much by the support and advice she has offered. Diane has been at hand for hundreds of fertility patients on their journeys and is a real inspiration with her positivity and generosity of spirit. These are just three women – there are so many more I can think of out there who are doing remarkable work to support and encourage, to inspire and inform. There are also all those women who support one another every day just by being there for each other, by showing their understanding and offering words of encouragement to their fellow fertility patients. The importance of that support should never be underestimated. Happy International Women’s Day to you all! This entry was posted in Advice and support and tagged Clare Lewis-Jones, fertility, fertility heroes, Fertility Network UK, fertility support, infertility, International Women's Day, Jessica Hepburn by fertilitymatters. Bookmark the permalink.